Not everyone drinks alcohol. Not everyone who drinks alcohol wants to drink alcohol all the time. Nothing wrong with that, but sipping on club soda with lime is an uncommon bummer that it ought to be illegal. Whether you’re entertaining a teetotaler (or someone underage) or are simply trying to drink less, elevating your alcohol-free cocktail game is a good idea, and it’s smart to have at least a few go-to spirits on hand that ditch the booze. 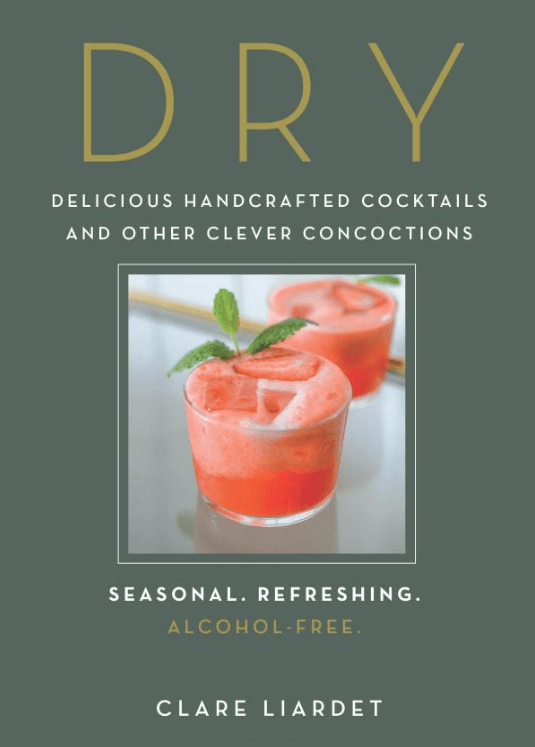 With that in mind, Clare Liardet’s Dry: Delicious Handcrafted Cocktails and Other Clever Concoctions deserves a spot in your library — even if it’s just to have in case of emergency. The cocktails in this slim tome all sound engaging, and the few I made from Liardet’s recipes were delightful. My non-drinking mother particularly loved the blueberry julep — more of a mojito than a julep, but who’s counting — which features blueberries, mint, lime, and ginger beer, and she was dead certain there was booze in it. That drink was fairly simple, but be prepared to bring your A game to the kitchen when whipping up most of these drinks. You’ll need to purchase or prepare in advance more than a few specialty ingredients, including green cardamom pods, lemongrass, passion fruit, and a wide range of infused syrups and shrubs. The cocktails run the gamut from brunch-friendly bloodies to standard cocktail hour fare to dessert drinks. Take the time in advance to dog-ear the drinks that sound the most appealing, because skimming through the pages can be a bit daunting if you’re short on time. Hat’s off to Liardet for taking a bummer of a subject — cocktails without booze — and turning it into a truly worthwhile and original book.